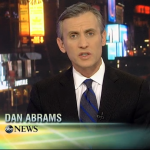 Dan anchored Nightline on Monday, February 17th in an episode that covered an array of topics. The first segment goes behind the scenes with snake-handling pastor, Jamie Coots, who recently passed away for refusing treatment for a snakebite based on his religious beliefs. This was the 10th and final time Coots refused treatment for a bite. In this interview Coots discusses religion, risks and even how he wanted to die. The next segment investigates a new Hollywood thriller coming out based on the Bible. The television series ‘The Bible’ had enormous success and those behind ‘Son of God’ are hoping for the same. The feed frenzy looked into an unlikely invasion happening in Phoenix, Arizona… an invasion of chihuahuas. Watch the full episode here.